Your Wedding Ceremony, Sit or Stand for Readings ? 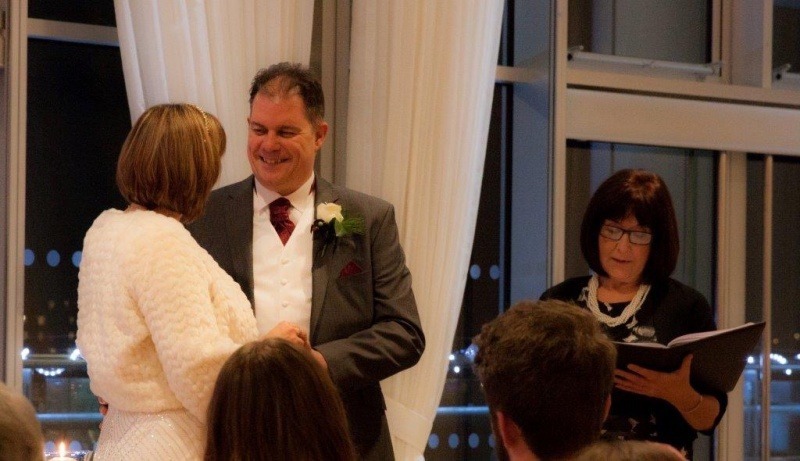 As wedding celebrant, one of the many questions I ask you to consider, as we plan your ceremony together, is whether you want to stand all the way through your wedding, or if you would prefer to sit during some parts of it. Many couples choose to stand all the way through their wedding ceremony. Some couples have even chosen to have their guests stand throughout the ceremony as well. This has worked perfectly well, particularly for small intimate groups, and their wedding ceremonies have been wonderful. However, If I get asked by a couple whether they should stand all the way through, or if they should sit during the wedding readings, generally speaking, I usually suggest sitting. 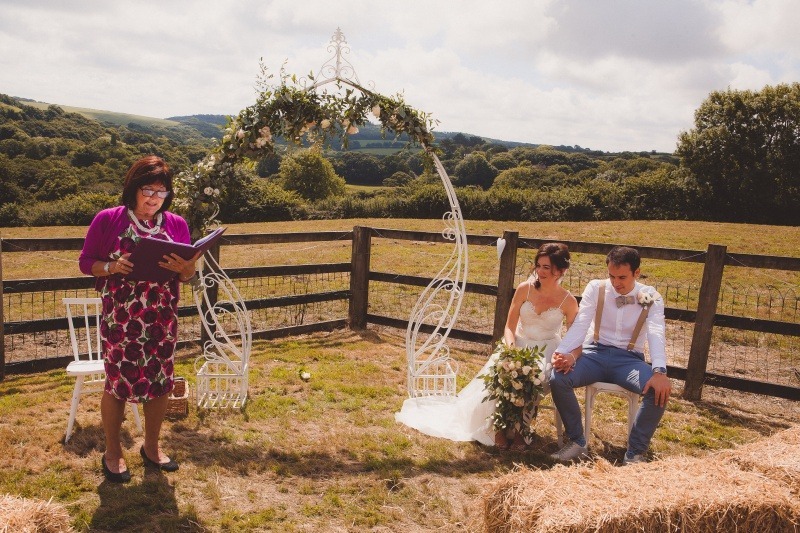 This lovely pic of Louise and Ian listening to a reading on their beautiful, sunny Cornish Wedding Day is courtesy of The Vintage Wedding Photographer. The build-up to the start of your wedding ceremony is a magical, exciting time. Every moment is special, whether it’s waiting for your bride or groom to appear, or walking up the aisle to your future husband or wife. Your family and friends are standing and cheering and the happy wedding celebrant is ready to welcome everyone. Together we would have planned a stunning entrance, however, it’s an exciting but also daunting prospect for many wedding couples, knowing that they have a wedding ceremony to get through!! To be able to sit during the readings enables you to take a few minutes to gather your thoughts and enjoy this part of your wedding ceremony as well as take the weight off your feet!! 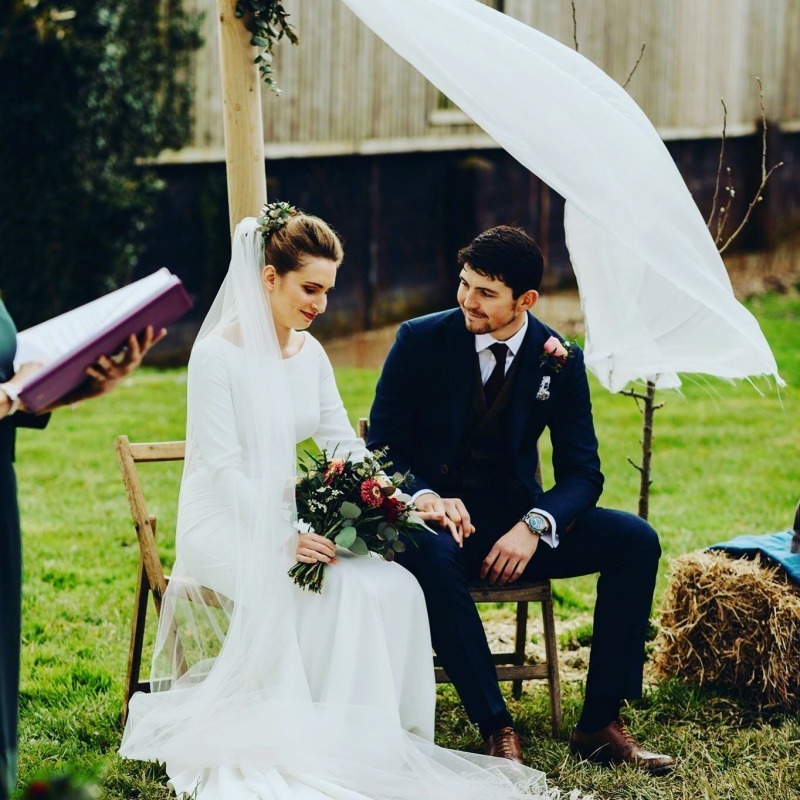 Every poem and reading will have been carefully chosen for the wedding, either by the bride and groom themselves, due to the special significance they hold for them, or by a friend or relative as a surprise. It is indeed an honour and a privilege to be asked to read at a wedding. By sitting to one side, you let your reader take centre stage. Your guests can see and hear the reader clearly. And you can also enjoy, not only hearing the words, but watching the enjoyment on your guest’s faces. During the readings your guests are busy listening. This takes a little of the attention off you for a short while. Being able to sit gives you time to relax a little and to make contact with your partner, a hand squeeze, a lifted eyebrow, a cheeky grin – an unspoken message between you, that only you two share. This show of support is just what you need to help you both as you move together to the next part of your wedding ceremony, when you make your precious vows and promises to one another, that will last a lifetime.